Lomo Saltado – a dish which combines rice with strips of sirloin and onions. An excellent meal if you are about to head off on a trek. The best way to travel in Peru is to use Peru Hop, a bus service which runs throughout the country and even into neighbouring Bolivia. It is a safe, convenient way for solo travellers and groups to see the country. Peru hop gives travellers the flexibility to hop on and off wherever they want. The beautiful thing about this service is that it offers a variety of deals that can cater to any traveller’s itinerary. So whether you want to see every city in the country, or just take a trip between Lima and Cusco, this is the service for you. To put cost in perspective, a ticket from Lima down the south coast to La Paz costs £249. That’s with stops at: Paracas, Huacachina, Nazca, Arequipa, Puno and Copacabana en-route. 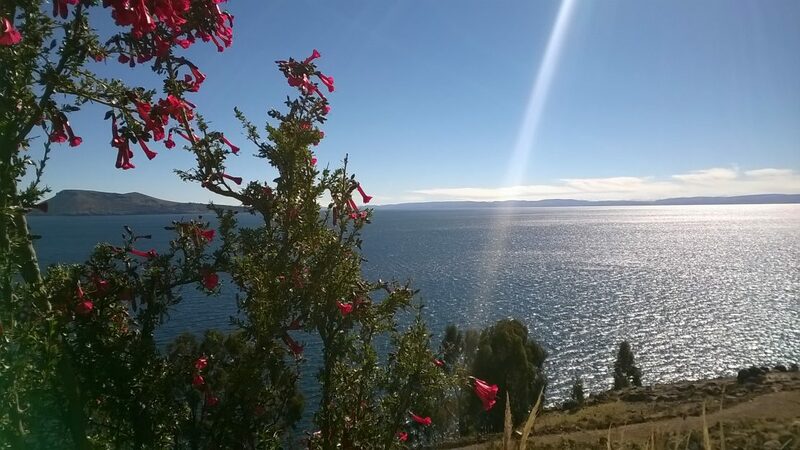 A view of Lake Titcaca in Puno, one of Peru hop’s destinations. Here’s the link, you can thank me later. Macchu Pichu is the undisputed poster boy of Peru. Yet the Inca trail is by no means the only way of reaching the Inca cloud fortress. Another trek, Salkantay, takes an alternate ancient footpath. The end result is a journey which passes through the subtropical jungle and lofty mountain peaks. What’s more, be sure not to miss out on some of the gorgeous scenery on offer elsewhere in the country. 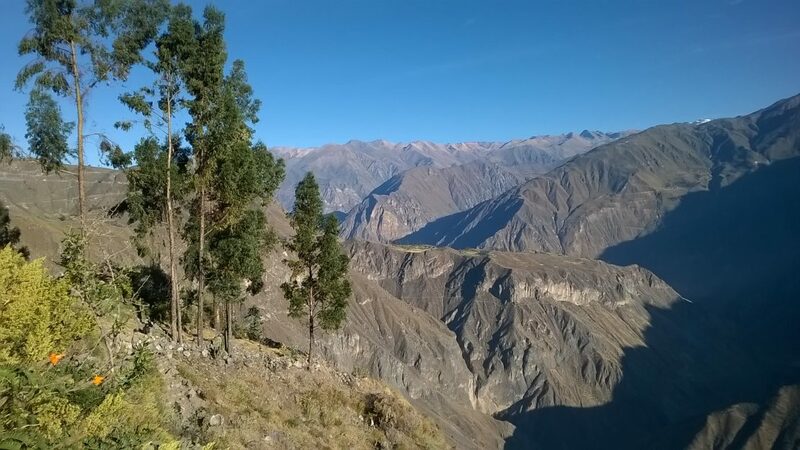 The Colca Canyon trek is close to the town of Arequipa and descends over 3200m. 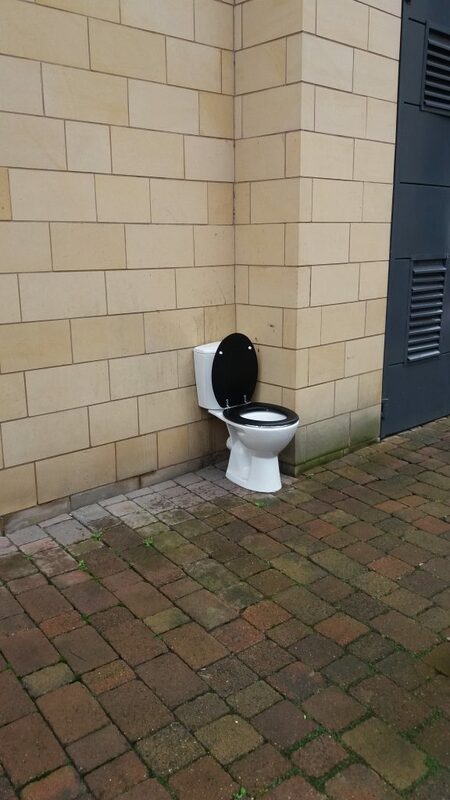 It is more than twice as deep as the Grand Canyon. The end of the trek features a 3 am ascent of Colca canyon in darkness – to be greeted by a breathtaking sunrise at the top. Lima may not have the rustic charm of Cusco; but to say it is not worth seeing would be to do Peru’s capital a disservice. This sprawling metropolis of 10 million people has a lot to offer. 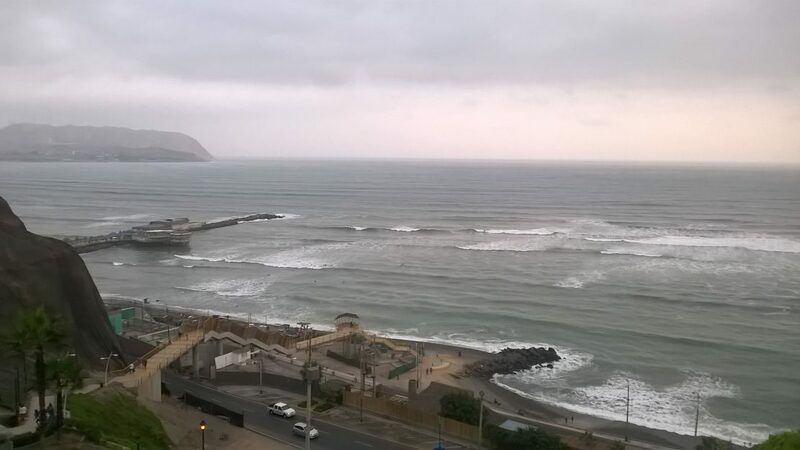 Lima boasts numerous beaches and miles of dramatic coastal views from the neighbourhoods of Miraflores and Barranco. In the evening, these districts full of bars and restaurants come to life. Culture vultures won’t be short of things to do in Lima, either. The city has a wealth of museums and colonial era architecture. The National Museum of Archaeology, Anthropology and History contains a huge amount of pre-hispanic materials, from metalwork through to vases. Fast-forward a few centuries and Lima’s Plaza Mayor. This square hosts historical attractions such as the 16th century cathedral and the government palace, adorned with a facade of palm trees. This is a top piece of Peru travel advice. If you book a trek online you will end up paying double the cost. Instead, wait until you reach your destination and enquire within your accommodation. 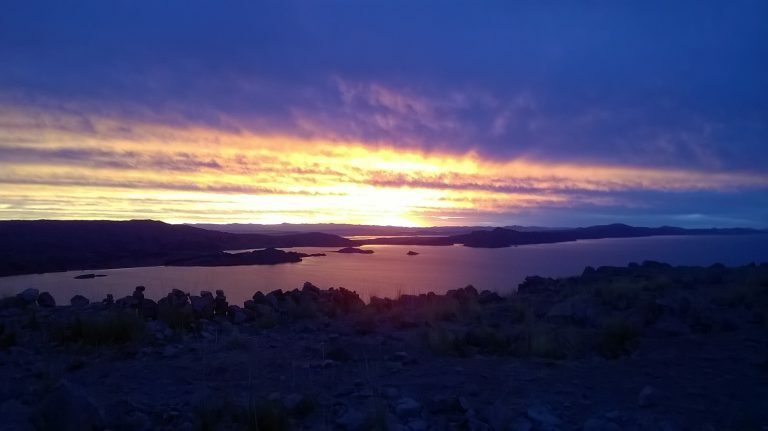 Reputable companies often have deals with hostels and hotels, and you will be put in contact with an affordable, reliable tour company. 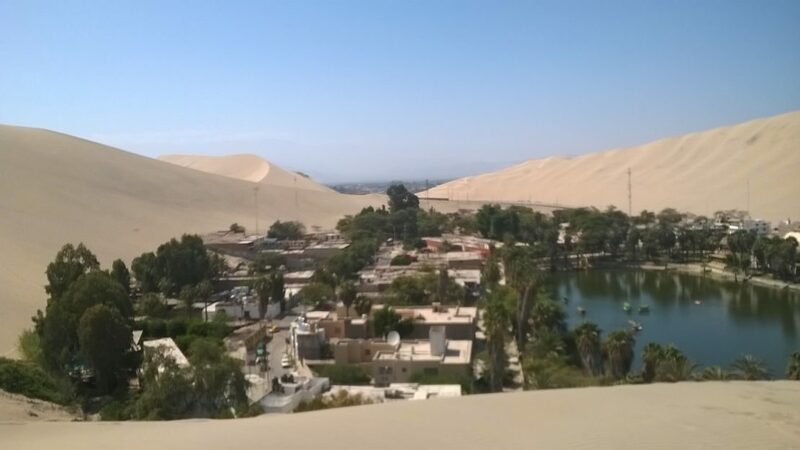 Huacachina is a tiny Oasis lying just to the South of the town of Ica. It is surrounded on all sides by monstrous sand dunes. These dunes happen to be pretty perfect for rattling down on a body board. Thrill seekers will be taken out into the desert by dune buggy and allowed to fly down the dunes at a crazy speed. Travellers only need a day in this tiny desert town, it is the perfect stop to break up a journey between Lima and Arequipa. One of the things to be careful of in Peru. In unfamiliar surroundings, with a potential language barrier, it is easy to pay with a large note and receive suspiciously little change. When out and about, try and have coins in Sol ( Peruvian currency). This will ensure that if you try and pay for something or get on to public transport it will be more difficult to be short-changed. Yes, gringo tax is a thing. As a tourist, you will inevitably be charged more for cab rides and at markets. Make friends with a Peruvian and not only will you get taken to the best spots in town, but you’re taxi fares will drop as if by magic. This may seem an obvious one. No one is saying that you have to be able to watch Narcos with the subtitles off before you travel in Peru. However, it doesn’t hurt to learnt the basics, for your own sake and out of politeness. Pick yourself up a pocket dictionary or use your phone to learn some of these. Yeah, this is amongst the best Peru travel advice you will get. And it’s rather self-explanatory. Be as careful as you want but it happens to everyone once. Make sure you’re prepared rather than taking a day out. If it looks tempting, then you’re in trouble..